Yesterday I saved a terrorists life. It was a lazy morning, and we were all still in bed when we received the call at 9:30am that there was a terrorist attack, someone was stabbed, and someone was shot, and we needed to get there Asap. The adrenaline kicked in, and within a minute, we went from fast asleep in our boxers, to running toward our armored Ambu-vehicle in uniforms and guns, with varying degrees of tied laces, and buttoned pants.The attack had occurred about half a kilometer from our post. 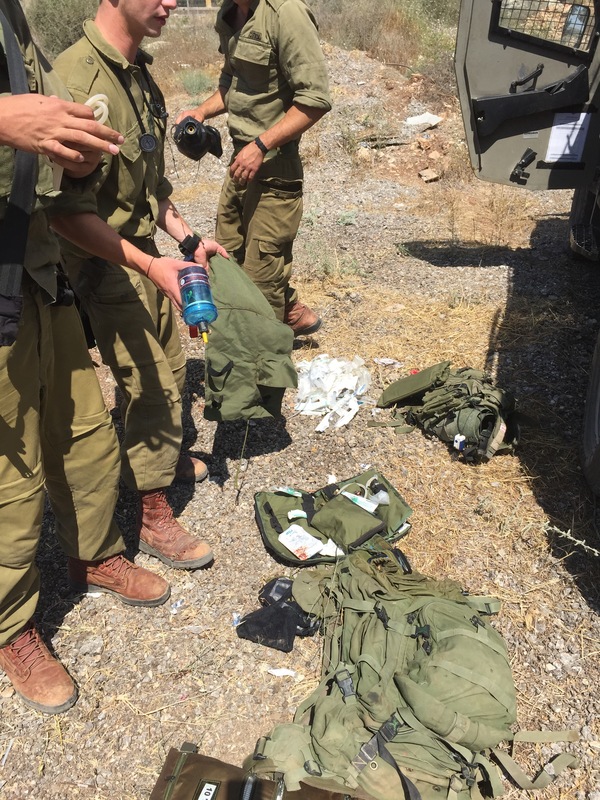 When we got to the vehicle, we were unable to find our driver, so we grabbed the medical equipment that we needed, and bolted to where the attack had taken place. Upon arriving, the first thing I see is a shirtless soldier with a bandage around his stomach, and a trickle of blood flowing down his belly. I checked his vitals, while my friend Si checked the wound, and we determined that he was ready to be evacuated to the hospital as soon as the first ambulance arrived. For a few seconds, the adrenaline levels in my blood went down, and I felt myself relax. I then noticed my two other friends, Idan and Or, about 30 or 40 meters to the side working next to a mostly naked woman lying down on a stretcher, and I got an entirely new rush of adrenaline. As I sprinted over to them, I noticed a pretty bad stomach wound on the woman, as well as a significant amount of blood, and that her consciousness was fluctuating. On my arrival, Or, the paramedic of our team filled me in that he wanted to perform an intubation on the woman. This being my first serious call, I was not prepared for the wave of stress that soon overcame me. It felt like hours that we were working on her, and each time that I fumbled with an ampule, or checked the wrong compartment for a drug, I could feel the precious seconds that were being wasted away. Luckily Or was able to keep calm, and was very specific with his instructions to me, which helped me maintain my own calm to a certain extent throughout the treatment. Somehow we synchronized our teamwork well enough that 20 minutes later and without realizing exactly how it happened, I looked up to see the woman intubated, receiving plasma I.V., and being loaded onto an ALS ambulance, accompanied by a civilian paramedic, and two infantry soldiers. At first it seemed strange to me that those soldiers were going with her, as they weren’t medically trained, but I didn’t pay much head to it as we had a HUGE jumble of equipment and garbage and needles and drugs to sort through and organize, and a limited amount of time to do it. 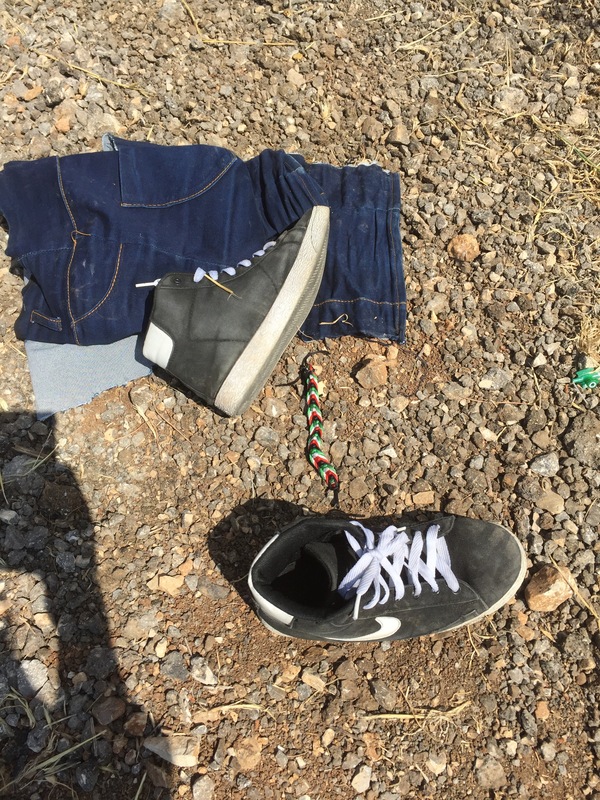 As we sorted through the mess, I noticed off to the side on the road, a woman from Mevo Dotan, the settlement right next to where the attack had taken pace, had come out of her car with a tub of Neapolitan Ice cream, and was scooping cones for all the soldiers in the area. I walked over, and grabbed four cones from her, for myself, and my friends. I thanked her for the kind action, and started bringing the ice creams back to my friends. On my way back from the ice cream lady, I began to digest the details of what just happened, and it occurred to me that I had just given life saving treatment to a terrorist. I have thought about this scenario many times, wondering how I would respond if I was called to a terrorist. Would I refuse to treat them? Would I give them second class treatment? Would I give them first class treatment, while thinking that they deserve to die? I always wanted to believe that I would do the moral thing, which is to treat them the best I could, with the aim of saving their life, without thinking negative thoughts, but I would inevitably reach the conclusion that it is impossible to know exactly how you will react in such a foreign and unpredictable situation. What I experienced however, was something so simple that I never imagined it would be the reaction I would have. While treating her, the only thoughts going through my mind were, “Keep airway open. 1 cc Dormicum. 5 cc Ketamine. Don’t drop syringe. Prepare Tubus.” Not a single thought outside of treatment. I was just doing my job, as I was trained to do. In the moment, it even felt insignificant, like I was changing a tire on a bike, except that it was a bike that breathes, and bleeds. Only after the whole incident did I realize that I had saved a persons life. Overall, I’m very satisfied by the play of events. I believe we did excellent work, not because of any of our thoughts or predispositions, but solely based on the training that we had, and our ability to jump into the situation and just act, without having to think. Being a medic is one of my proudest facets, not because it was such a difficult achievement to attain, but because of the absolute effect that I can now have on a person’s life. While it is important to note that by definition, she is a terrorist, I don’t look at it as “I saved a terrorist,” I look at it as “I saved a life.” That is significant. Interesting. I liked your last line.